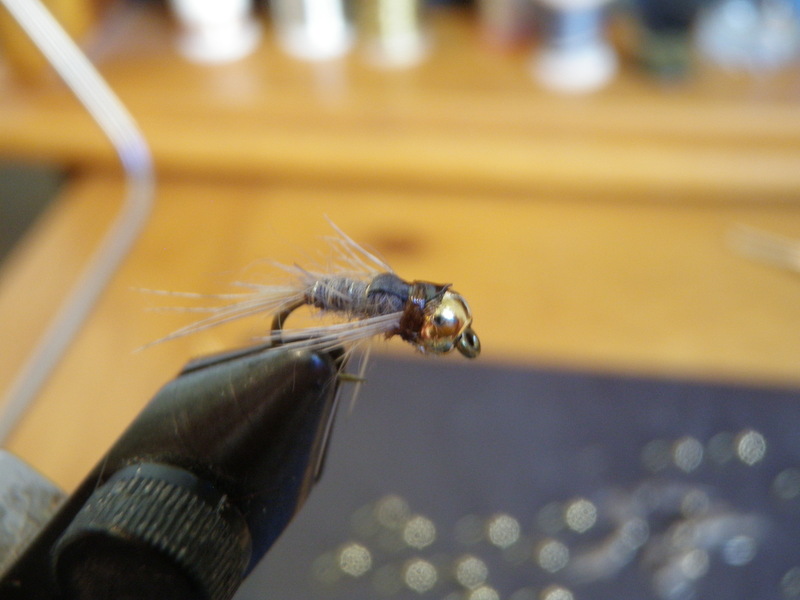 The beadhead hares ear nymph is my go to fly. Nine times out of ten, this is the first fly I attach to my line when I approach moving water. The bead and gold rib give it attracting flash, and the unruly guard hairs of the hares mask provide an all around buggy look. 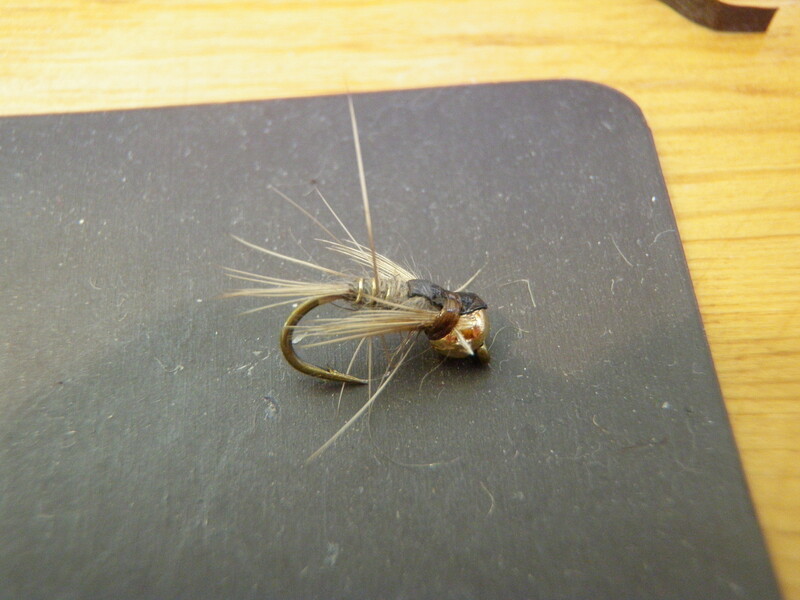 This fly seems to produce when caddis are active, but also is effective before and during mayfly hatches. My friend Dave Gaboury calls the hares ear that I tie Dave’s Hares Ear. Dave is convinced my fly produces more fish because I tie it on a curved scud hook which gives it a more natural appearance. I don’t know if Dave’s theory is right or not, but I can vouch for its effectiveness. My other variation on the traditional hares ear pattern is the substitution of Tyvex material for a quill section for the wing case. I use old bibs from road races I entered and color the bib black with a permanent magic marker. Another good source of this material is Fedex mailing envelopes. This stuff is indestructible and the first place the fly breaks down are the thread wraps right behind the bead. If the thread unravels, I remove it from my fly patch and toss in a cylindrical canister then refurbish the flies for the next season. If you read my fishing blogs on this site, you will probably notice that I fish this fly on every outing. During the first half of the season I tend to pair it with a yellow Letort Hopper, and then later in the season I drop it off of a Chernobyl ant. 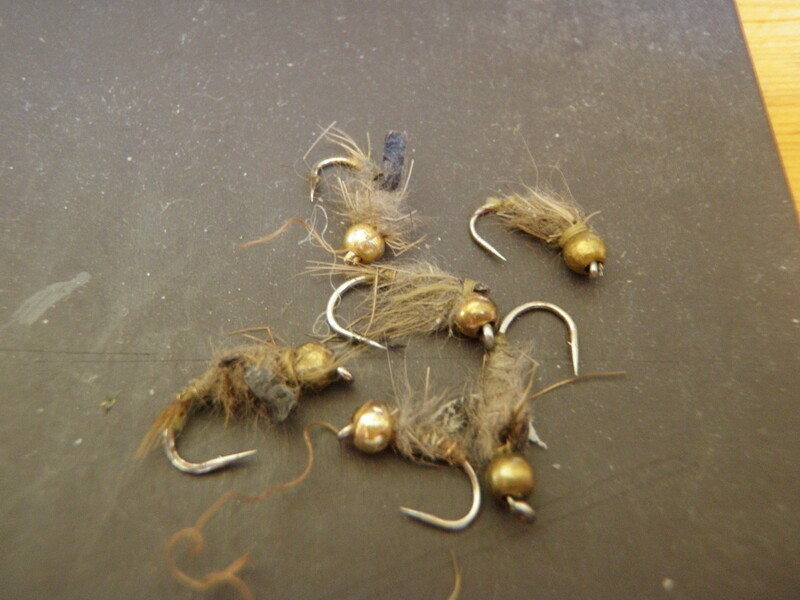 In rare occassions when the water is too deep for the dry/dropper, I fish the beadhead hares ear as the top fly on a two fly nymphing rig with a smaller fly like a pheasant tail or beadhead baetis as the point fly. 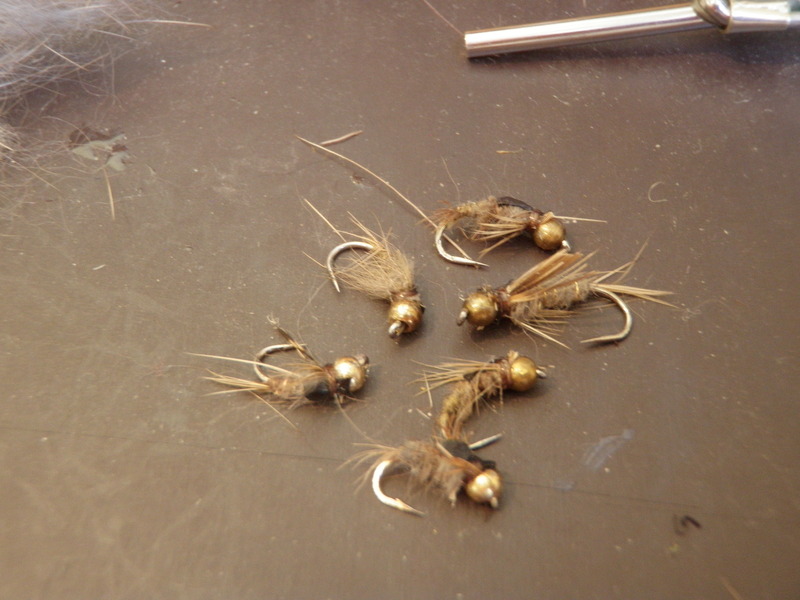 I entered the 2010 season with 30 beadhead hares ear nymphs in inventory in addition to the ones that remained in my fly patch from the previous season. By the end of September I had completely depleted my inventory and worked from the ones that remained in my fly patch for my last few outings. In order to build a larger cushion, I began my winter production fly tying yesterday and produced 19 beadhead hares ear nymphs. The first six were rehabs. I plan to enter 2011 with 50 in my bulk inventory box. This entry was posted in Fly Tying, Nymphs by wellerfish. Bookmark the permalink.